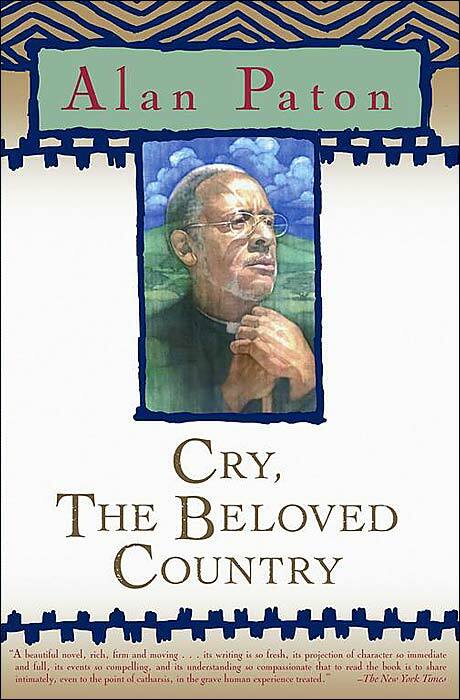 a book chick: "cry, the beloved country"
my take: this is a brilliant book. written in simple prose, with the cadence of the king james bible, it's a heartbreaking and staggering work of genius. written in 1948, it's set in apartheid South Africa. the tale of two men and their sons and how their lives intersect. i was a bit behind on book club reading, so i listened to the first part of the book on cd ... always nice for the foreign language pronunciations (afrikaans in this case) and to get into a book, but due to the structure of the book, it was better to read it in hard copy. part one introduces one father; part two, the other father with language & description echoing the first. it also helped to read my mother's copy from her teaching of AP English ... lots underlined and starred and circled.